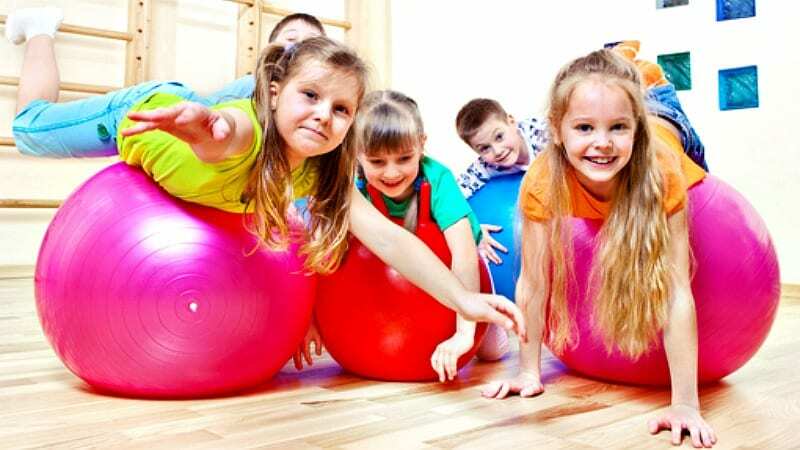 Yoga balls don’t work for every kid. I was optimistic. I scoured the research, pinned all the cutest ideas, got the buy-in from students and administrators, gathered some new gadgets, and then, one courageous day, we launched it: FLEXIBLE SEATING. It was a glorious day—one that I bragged about to all my colleagues. Students sat in their preferred areas, using clipboards and iPads instead of being limited to a traditional desk. They collaborated at small group tables and all of my squirrelly learners were suddenly productive and at peace. It was a fifth-grade teacher’s dream…for a week. Then, we had art. And, we didn’t have sufficient table space for our watercolor paintings. Later that week, we had a math test where EVERYONE seemed to want to be at a desk because that’s where they felt more comfortable for testing. Soon after, our science notebooks were filled with chicken-scratch notes from the students’ poor posture with those oh-so-cool bean bags and clipboards. I had a quiet moment of reflection as I sat in my 21st century classroom one afternoon. 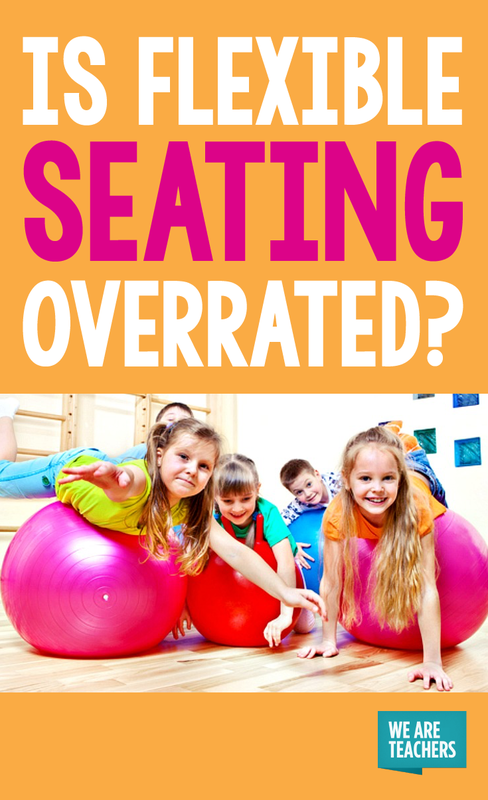 Was flexible seating overrated? It clearly wasn’t right for this group of students. Maybe, just maybe, there was a happy medium between the industrial era of education and bouncing our way through direct instruction on yoga ball seats. Flexibility doesn’t have to look the same in all of our classrooms. The goal of flexible seating is to provide movement in our long school days, an outlet for the wiggles, and to integrate a student’s voice and choice into their learning environment. As an elementary teacher, I knew my students were in desperate need of all of that. However, we needed to approach it a different way. I began a different tactic. I labeled it a “classroom experiment,” talked it over with my students, and we went for it. Students each had their desk back, but as part of a small group, partner, or island. The students reflected on their own learning needs and made a recommendation for their seat. We dedicated ourselves to reevaluating our seating chart every two weeks, knowing that some students would want or need a change of environment. This was key to their buy-in to the experiment. Times of collaboration and independent work were more free-flowing, allowing students to work on the floor, large tables, or even stand up. But, when the need arose for a more focused classroom environment, students returned to their assigned seats. We set timers at specific times of the day for Brain Breaks—a GoNoodle activity or a quick Minute-to-Win-It game to get our energy flowing and our blood pumping. My student helpers LOVED reminding me that it was time to stop for a dance party! I was surprised at how easily students adapted to the change. The complaints that I got with flexible seating disappeared. Instead, they felt like true partners in their education, thinking about how they might be more successful. We had created a classroom that worked for this group of kids. And, I realized that had been my goal all along. I took this strategy with me to middle school this year. The high tables and rolling chairs became more of a distraction than a helpful tool for my class full of English Language Learners. So, we transitioned to traditional desks in different formations. Seats change every few weeks. Collaborative work time sends students sprawling on countertops, standing in corners, and even laying on the floor to complete partner work. But, they have a home base that brings them back to focus. Whether you’re a flexible seating fan or not, the biggest lesson to take away from the research is this: learning environments need to be student-centered. For some classrooms, that means swivel chairs and fidget cushions. For others, it might mean something different. That’s where you come in: you’re the expert on your classroom. No research article or Pinterest post can replace your knowledge. You know your students’ needs. So, be brave! Be bold! Go try something new that just might empower your students to be more successful! What’s your take? Is flexible seating overrated? Please share in the comments below. Jeanette loves throwing her energy into her middle-school students and her family. With three kids under three, she spends all her spare time lesson planning, doing laundry, and drinking copious amounts of coffee.